Embrace the relaxing and upscale atmosphere of Cabo San Lucas, Mexico with a timeshare resale at Hacienda Encantada Resort & Spa. This scenic resort pairs beautiful Mexican architecture with upscale touches and unparalleled service, providing a one-of-a-kind vacation experience suitable for all parties. Embrace the relaxing and upscale atmosphere of Cabo San Lucas, Mexico with a timeshare resale at Hacienda Encantada Resort & Spa. This scenic resort pairs beautiful Mexican architecture with upscale touches and unparalleled service, providing a one-of-a-kind vacation experience suitable for all parties. 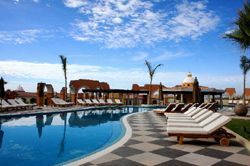 With these Cabo San Lucas timeshares for sale, you are sure to enjoy every moment of your Mexico getaway. 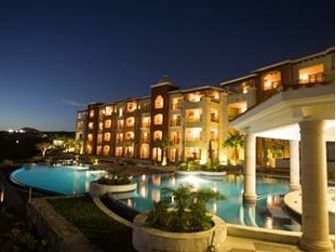 Hacienda Encantada Resort & Spa is located on the beaches of the Pacific Ocean, offering beautiful studio, one or two-bedroom suites, and private timeshare villas for sale on the resale market. 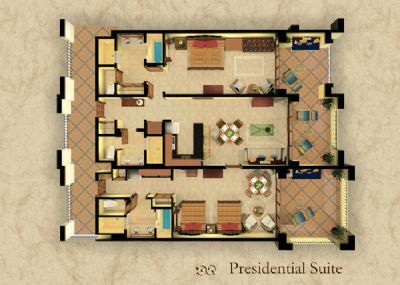 Buy time in a vacation condo and enjoy such in-suite amenities as air conditioning, satellite TV, kitchen or kitchenette, whirlpool bathtubs, sleeper sofa, private plunge pool, or a furnished balcony with spectacular views. The resort offers several on-site swimming pools for your enjoyment, with sun deck, tiki bars, and whirlpools available for your use. Explore the private beach area with reserved chairs and cabanas. 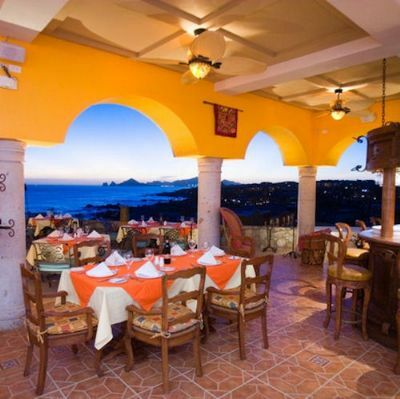 Enjoy an authentic Mexican meal at one of six on-site, open-air restaurants. Break a sweat at the well-appointed fitness center and follow-up with a holistic treatment at the full-service spa and salon. Kids and kids-at-heart will love the playground, kids club, and fire pit – perfect for roasting s’mores before bed. Stop by Hacienda Encantada Resort & Spa’s Activities Desk to learn of all the adventure that awaits you in Los Cabos. Swim with dolphins or sea lions, explore the Sea of Cortez via kayak, or fish for Marlin in your own sportfishing boat. Head back to land to zip-line through Wild Canyon or ride horses on the beach. Too much excitement? Try the tamer Cabo San Lucas City Tour for a glimpse of the city and all it has to offer. 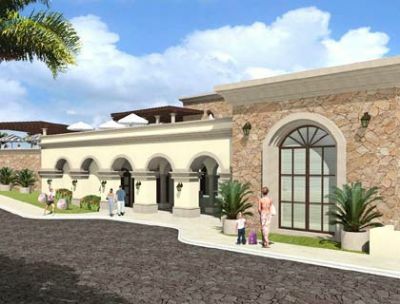 Contact Hacienda Encantada Resort & Spa Specialist Today!